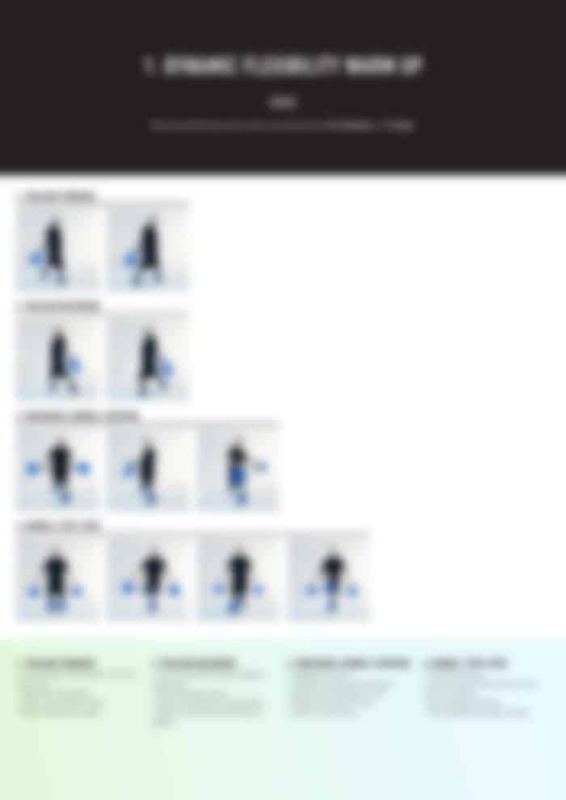 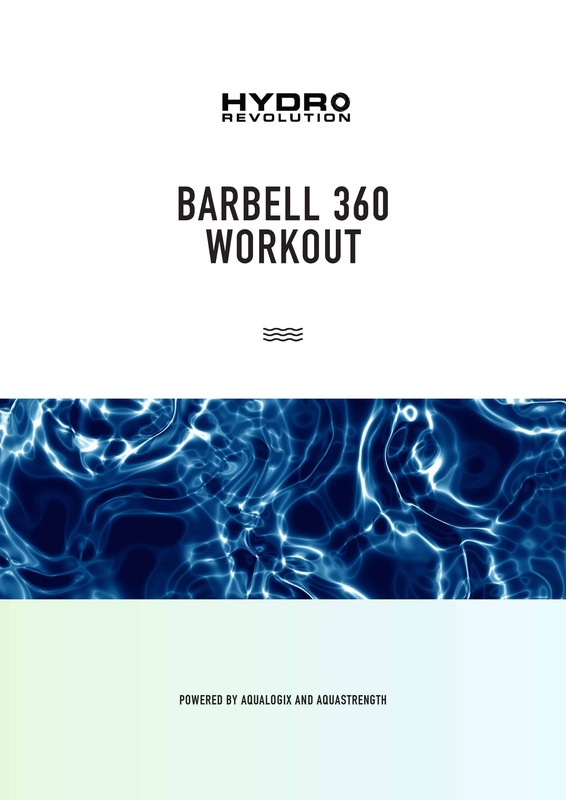 The Hydrorevolution Barbell 360 workout has been designed to help you improve your overall fitness and function. 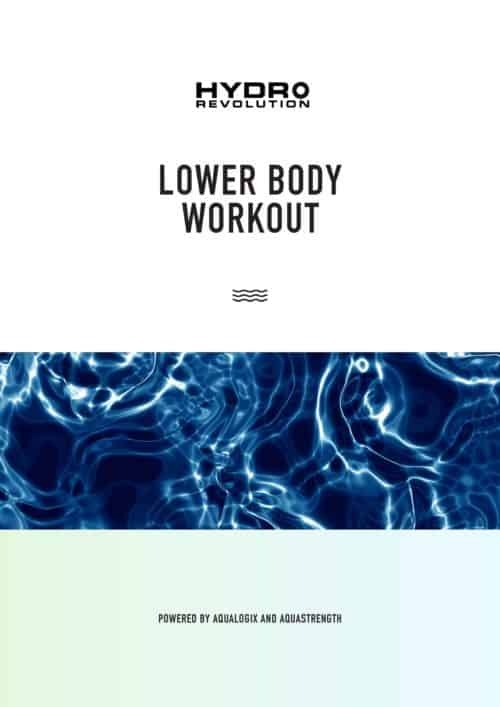 It challenges your total body with an emphasis on core rotary stability to improve your function in day to day and sports specific activities. 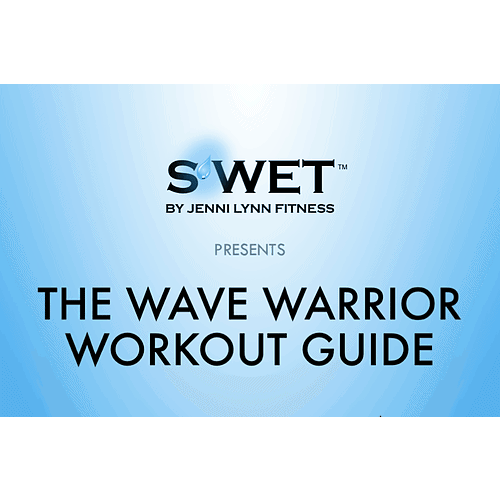 The workout begins with a dynamic warm up, before moving onto a strength and stability component and finishes up with a section focused on coordination, agility, power and speed. 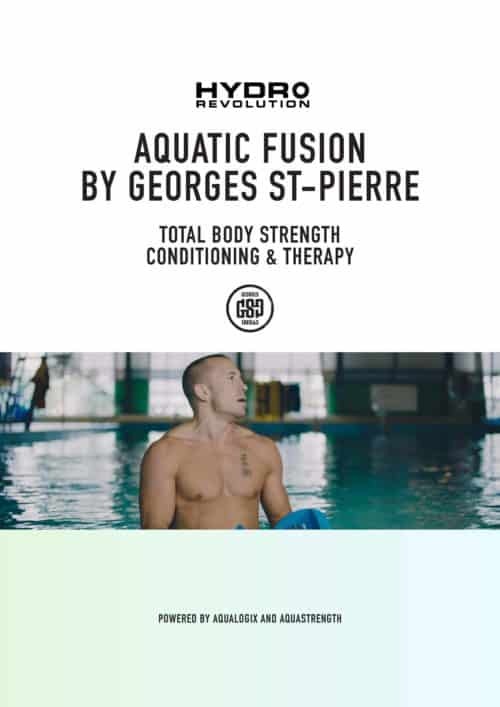 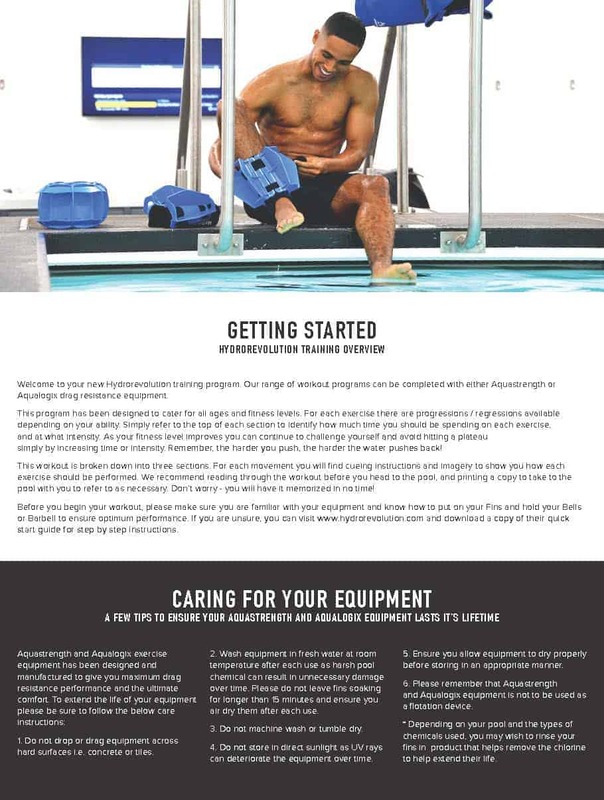 To complete this workout you will need an Aquastrength Barbell and a set of Lower Body Fins from Aquastrength OR Aqualogix (Optional).